Location of Practice: Oakland, CA, and worldwide via phone, Skype, and Zoom. Specialization: Anxiety, depression, trauma/PTSD, chronic fatigue, phobias, life purpose, infertility, life transitions, feeling blocked, stuck or lost, support and guidance for empaths, intuitives, and healers. Emily begins her work with clients by helping them access the wisdom of their own inner guidance. This guidance becomes the strong foundation from which to discover their own answers and facilitate their own healing in an effective and powerful way. Emily holds space and provides strong support for her clients to explore their issues safely as they create their own path to healing. 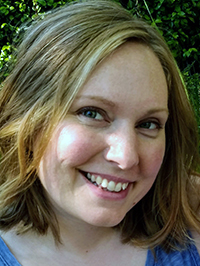 In addition to being a Depth Hypnosis Practitioner and certified Shamanic Counselor, Emily is a mother, wife, artist, writer, and animal lover. These life experiences deeply inform and enrich her understanding of people, emotions, and spirit.